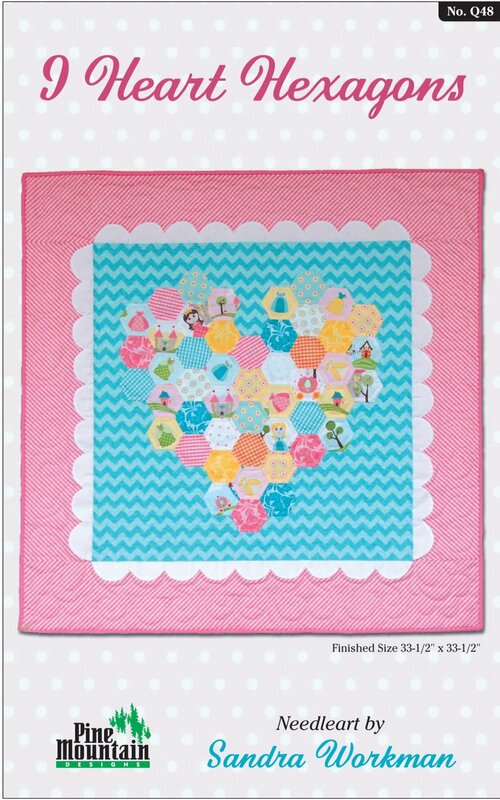 Finished size of 33-1/2" x 33-1/2" I Heart Hexagons is a sweet hexagon project. Paper piece the hexagons, join your rows to form the heart as shown in the pattern and then machine or hand applique in the center of your background. Easy-peasy method scallop border. Sample shown using my fabric line "Happy Ever After" for Riley Blake Designs. As an alternative, choose a collection of reds and pinks to make the perfect Valentine quilt.